Self-portrait of Nathaniel Dance-Holland, circa 1773. Sir Nathaniel Dance-Holland, 1st Baronet RA (8 May 1735 – 15 October 1811) was a notable English portrait painter and later a politician. The third son of architect George Dance the Elder, Dance (he added the 'Holland' suffix later in life) studied art under Francis Hayman, and like many contemporaries also studied in Italy. There he met Angelica Kauffman, and painted several historic and classical paintings. On his return to England, he became a successful portrait painter. With Hayman and his architect brother George Dance the Younger, he was one of the founder members of the Royal Academy in 1768. He was commissioned to paint King George III and his queen, plus Captain James Cook and actor David Garrick. His group portrait The Pybus Family (1769) is in the collection of the National Gallery of Victoria, Melbourne, Australia. In 1790, he gave up his artistic career and became Member of Parliament for East Grinstead in Sussex. He served this seat until 1802 when he moved to Great Bedwyn in Wiltshire, serving until 1806. In 1807 he returned to East Grinstead, serving until his death in 1811. He was made a baronet in 1800, which became extinct upon his death. He was married to Harriet, the daughter of Sir Cecil Bishopp, 6th Baronet and the widow of Thomas Dummer (died 1781), for whom his brother had designed the house at Cranbury Park, near Winchester. They lived at Little Wittenham Manor in Berkshire (now Oxfordshire). His wife survived him until 1825. 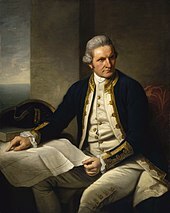 His nephew, Sir Nathaniel Dance (1748–1827), was a well-known commander of British East India Company ships. ^ a b "Horninghold, Gartree Hundred" (PDF). Victoria County History of Leicestershire. Retrieved 23 September 2009. ^ Ford, David Nash (2008). "Sir Nathaniel Dance Holland (1735-1811)". Royal Berkshire History. Nash Ford Publishing. Retrieved 16 June 2011. Wikimedia Commons has media related to Nathaniel Dance. Sir James Thornhill was an English painter of historical subjects working in the Italian baroque tradition. He was responsible for some large-scale schemes of murals, including the "Painted Hall" at the Royal Hospital, Greenwich, the paintings on the inside of the dome of St Paul's Cathedral, and works at Chatsworth House and Wimpole Hall. Sir Godfrey Kneller, 1st Baronet, was the leading portrait painter in England during the late 17th and early 18th centuries, and was court painter to English and British monarchs from Charles II to George I. His major works include The Chinese Convert ; a series of four portraits of Isaac Newton painted at various junctures of the latter's life; a series of ten reigning European monarchs, including King Louis XIV of France; over 40 "kit-cat portraits" of members of the Kit-Cat Club; and ten "beauties" of the court of William III, to match a similar series of ten beauties of the court of Charles II painted by his predecessor as court painter, Sir Peter Lely. Nathaniel Hone was an Irish-born portrait and miniature painter, and one of the founder members of the Royal Academy in 1768. Sir George Hayter was a notable English painter, specialising in portraits and large works involving in some cases several hundred individual portraits. Queen Victoria appreciated his merits and appointed Hayter her Principal Painter in Ordinary and also awarded him a Knighthood 1841. Sir George Howland Beaumont, 7th Baronet was a British art patron and amateur painter. He played a crucial part in the creation of London's National Gallery by making the first bequest of paintings to that institution. 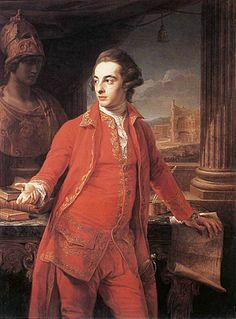 Sir Gregory Page-Turner, 3rd Baronet was a wealthy landowner and politician in late 18th century England, serving as Member of Parliament (MP) for Thirsk for 21 years. Sir Charles Warre Malet, 1st Baronet was a diplomat who served in the British East India Company as a Resident in the court of the Peshwa Mahrattas.